So, as happens, some books that I read just don’t elicit a ton of comments from me about them. Here, in one fell swoop, are some of those titles that fall under that category in recent times. The small village of Tilling is bubbling with social catastrophes and ridiculous (but still funny) situations that this was another fun read. 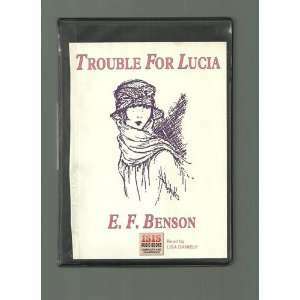 This is the final volume in the Mapp and Lucia series (as written by E. F. Benson) and this involves the death of a beloved budgerigar, new mayoral duties and one of dotty Irene’s frescoes. Oh, and bicycles. It fits the mold of the other M&P books – written with a wicked sense of humor and a heavily satirical look at village life in a past age. Just a fun read that completes that series. I’m surprised how enjoyable these books have been! 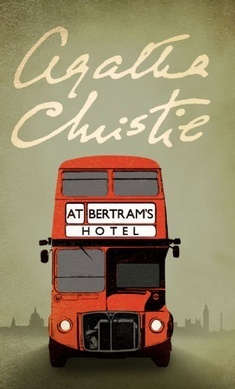 At Bertram’s Hotel – Agatha Christie (1966). This was an enjoyable cozy read which doesn’t strain the brain cells too much, but at the same time, does ask you to think a bit. I have only just recently started reading Christie and right now am choosing titles on the library shelf rather at random and whether the book looks old and well loved or not. (Not very scientific method really.) However, haven’t had a bad read yet and this one stayed the course. Red herrings, foggy weather, London, cups of tea and elderly ladies – all a fun mix especially when you add in an unexpected murder and some big bank heists. Oh, and a missing old Rector. Enjoyable and well plotted – Christie knew how to write a compelling narrative. 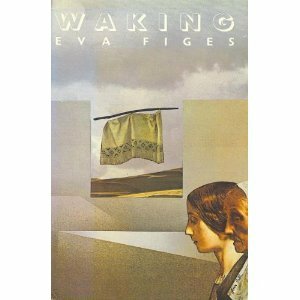 Published in 1980 (and therefore written, presumably, during the 70’s), this book focuses on the PoV of one woman as she wakes up for one morning at different stages of her life. It’s not a particularly important day or anything – it’s just chapters of descriptions of how she feels when she’s a child, a tempestuous adolescent, young mother, and older. Generally, the character is pretty morose and moany throughout these chapters, and in fact, there may have been only two chapters where she was decently happy. She’s not the most likeable person in the world of literature, and I think if you go into this read knowing that the protagonist is just a person who sees yuckiness everywhere, you’ll be ok. It does get a bit old though from the point of view of this particular reader. So – not a bad one, but I don’t think I’ll pick any others from her. She’s seems to have been a generally grumpy person in real life (according to her obit in the Guardian), and that comes off in her writing. This entry was posted in Uncategorized and tagged Books in general, Fiction, TBR by lizipaulk. Bookmark the permalink. Love both the Benson and the Christie (for some reason Bertram’s is one of my favourites) but I confess to having never read Eva Figes – sounds intriguing but not necessarily one for the wishlist!